This early drawing of 28th Street incorporates the New York Central connector to 30th Street and the Terminal Stores building (the two track siding along the bottom). 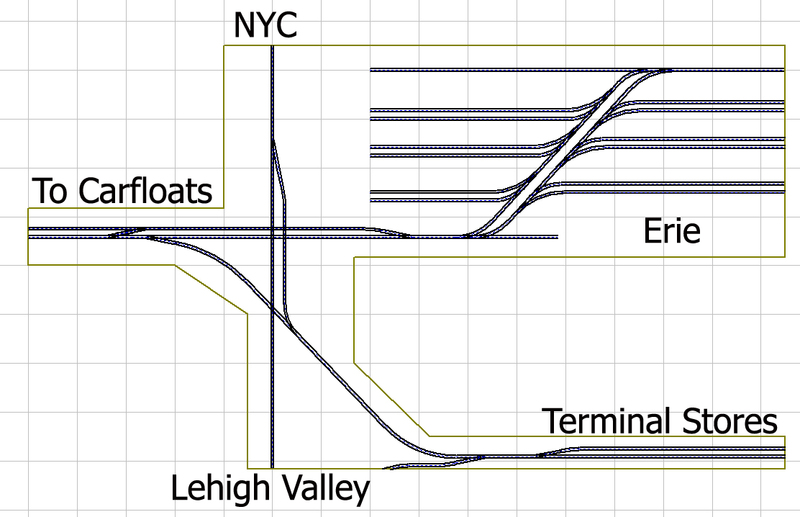 The Erie trackage is completely wrong in geometry but the basic idea is correct. The turnout going down from the terminal store building is to head to the Lehigh Valley Railroad terminal.